Great review of the book. I agree and also think that self managing is good in certain circumstances only. The other significant advantage of using a Property Mgr that comes to mind is the fact that Prop Mgrs will be able to get maintenance done for much cheaper than if you were to hire someone else (if they are not in the business of ripping off owners). I actually consult start up Property Managers and they are usually able to provide maintenance, mark up 25-30% for their time and still come in much less than other most bids for standard work. 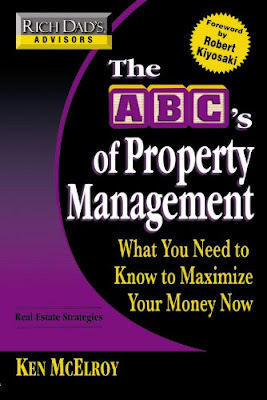 Learning the basics of property management is definitely a great idea. That book looks very helpful. I should read it sometime.